Manchester Show 2011: UK premier of SIM2's Nero 3D projector | What Hi-Fi? Join us at the Manchester Home Entertainment Show this weekend (see blog for full details), and you'll be the first to see SIM2's brand-new Nero 3D projector. It's 'more affordable' than its bigger brother, the SIM2 Lumis 3D-S, although the Nero range will still start at £12,995. 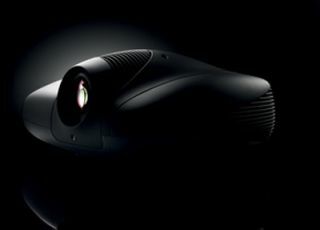 The other three projectors have an aspect ratio of 16:9, and all four models borrow many technical features from the Lumis 3D-S. The patented Alphapath light engine has been adapted for the lower-cost 1-chip DLP architecture. All feature 120Hz processing for 24fps (frame-per-second) material such as 3D Blu-ray, which is said to help eleiminate flicker and make for a more comfortable 3D viewing experience. There will be demos of the SIM2 Nero throughout the weekend in the Anthem AV Solutions room in the Raphael Suite.